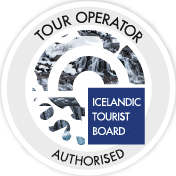 This buggy tour will allow you to visit the beautiful Landmannalaugar area in an open air buggy car where you will be able to really take in the nature. This buggy tour adventure is one of the best ways to visit the beautiful Landmannalaugar area. Driving in the open buggy cars will allow you to really enjoy the magical scenery this track has to offer. The tour starts in Hella on the South coast of Iceland. You will meet with your guide at the base camp where you will get all geared up and safety instructions will be given. You will get helmets, balaclavas, gloves and high-quality overalls to make you feel comfortable on the way, no matter the weather. You will drive from Hella on a narrow dirt road and head towards the active Volcano Hekla. Hekla is one of the best-known volcanoes in Iceland. The volcano last erupted in the year 2000. You will make a stop at Þjófafoss, a beautiful, photogenic waterfall in the Þjórsá river among other places. Þjórsá river is the longest river in Iceland and runs around 230 km. from its source. From there you will drive into the highlands towards Landmannalaugar. The drive will take you through moss-covered lava fields, a unique lake, and more amazing landscapes. When you reach Landmannalaugar you will have the opportunity to bathe in the hot springs or explore the area on foot. Make sure you bring your bathing suit if you wish to take a bath. The natural warm water there is really comfortable and an ideal bathing place all year round. The temperature of the water is around 36-40 °C, even in the midst of a snowy winter. Meanwhile, your guide will prepare a nice meal for you to enjoy when you take in the amazing colourful scenery of Landmannalaugar. Please note that it is possible to make this tour a private tour. A minimum of 2 people is required and an extra cost of ISK 98.900 to secure the tour just for you and yours. You can click on “Make this tour private” in the booking widget and add the number of people that wish to join the tour. Buggy X-Treme is a family owned tour operator, owned and operated by a local family in Hella.